When you’re hired to work for University Recreation you become a member of the #URECfam which currently employee over 300 students. That means you get more from your time, effort, and experience than just a paycheck. Students from all walks of life make up the #URECfam and it’s those very students who make all the great programs, facilities, and services operate with excellence. Monitor for and mitigate risk in the climbing area through enforcement rules and policies. Instruct and assist patrons with belaying and other climbing related skills. Help patrons with gear rental and tracking inventory in the Adventure Education Center. Effectively utilize and monitor point of sale program for rentals and cash handling. Assist with the facilitation of Challenge Course programs. Provide children and adults with safe and effective instructional swim lessons to enable development of aquatics skills. Current American Red Cross Lifeguard Certification is required. Current Water Safety Instructor (WSI) Certification is preferred, but not required. Prior swim instruction experience is preferred, but not required. Monitor and provide a safe swim environment at UREC’s indoor pool, outdoor lap pool, and leisure river. You will need to submit an application, attend a scheduled interview (if selected), and complete prerequisite skills. You will need to submit an application, attend a scheduled interview (if selected), and complete the American Red Cross prerequisite skills. Responsible for welcoming members to the facility and serve as a customer service representative. Handle point of sale transactions for membership and pro shop sales. Rent equipment out to members. Answer phone calls to UREC and have a general knowledge of UREC. Supervise all cardio/weight room activity. Serve as a customer service representative when members need help or have questions. Lead and motivate individuals & groups in UREC fitness classes. Prior exercise class instruction is preferred, but not required. Nationally recognized Group Fitness Certification is required (ACE, AFAA, NASM, NETA). Lead and motivate individual or small group personal training sessions. Must be certified as a national certified personal trainer (ACE, ACSM, AFFA, or NSCA). Lead and motivate individuals in private tennis lessons. Prior tennis experience is preferred. Assist with day-to-day maintenance on all UREC buildings. Assist with repairs and preventative maintenance needs. Assist with computer hardware and software support. Install and set up new computer equipment in offices and desks. Provide end-user support when needed. Collaborate in a team environment to create marketing designs to promote UREC programs. Responsible for promoting the image of UREC across campus. Experience in Adobe Design Suite is required. LSU Graphic Design Students are preferred, but not required. Responsible for taking pictures when needed for marketing team. Responsible for filming videos and editing videos. Experience in Adobe Design Suites is required, specifically, Adobe Premier Pro. Create social media content for LSU UREC brand. Grow the number of followers on social media platforms with creative promotions across campus. Be a UREC brand ambassador. Collaborate with a team to create fun and engaging Instagram Stories to promote UREC events and programs. Manage game and maintain order to mitigate risk of the participants. Maintain a thorough knowledge of the rules and apply as trained in sport-specific officials’ training. 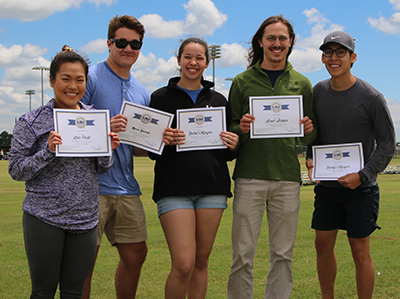 Assist with set-up and breakdown of the intramural sport activity site. Enforce game rules and keep score/time of each game/match. 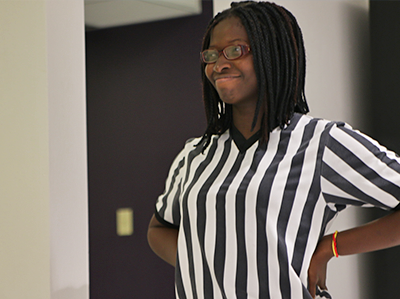 Work with fellow Sport Programs staff to assign a Sportsmanship Rating following each game officiated. Verify and report final score with Sport Programs staff and participants. Available to work in the Summer. Enjoys working with kids aged 6-12. Assist with general upkeep of the grounds at UREC, UREC Field Complex, and the outdoor pool area. There are numerous policies pertaining to student employment for international students. International students: please click here to complete steps that will assist you in preparing for employment with LSU UREC. 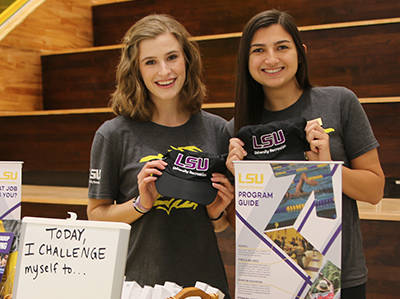 For any questions regarding student employment, please contact trainurec@lsu.edu.